Launched as one of the world’s first commercial Computer Assisted Telephone Interviewing (CATI) systems in 1983, TelAthena’s users have logged over 1 billion production hours in contact centers worldwide. Our clients have included Fortune 500 companies as diverse as DuPont, Circuit City, GTE, British Telecom, Nissho Electronics and Walker Information, from the Market Research, Fundraising, Telemarketing, Customer Service, and Financial Services industries. 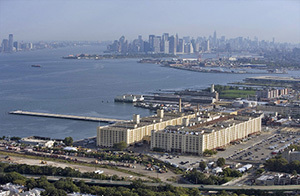 TelAthena’s offices are located in the historic Brooklyn Army Terminal. Designed by architect Cass Gilbert, the Brooklyn Army Terminal was commissioned by the federal government in March of 1918 to serve as a military depot and supply base, and served as the largest military supply base in the US through WWII. Over three million troops and 37 million tons of military supplies passed through the facility – including, in 1958, perhaps the most famous soldier to deploy from the Brooklyn Army Terminal -- Elvis Presley. TelAthena Systems is wholly owned by D.F.King & Co., Inc. Founded in 1942, D.F. King is a global financial media relations and private equity firm representing more than 600 public companies and mutual funds located primarily in the U.S. and Europe. TelAthena Software has been awarded “Product of the Year” by both Customer Interaction Solutions and CTI Interaction Solutions; an Editor’s Choice Award from CRM Solutions and Call Center Solutions; 3 times “Best of Show” award at CTI Expo, twice “Best of Show” at Communication Solution Expo; and the “CRM Excellence” award from TMC Publications. The best ideas are often the simplest. The ones which appear so straightforward, so natural, that they seem obvious in retrospect. Take Call Center Software, for example. Since it exists to create an interface for the transfer of progressively larger amounts of information, the technology must be sufficiently advanced to power and process this exchange. However, the method by which this information is received, that is, the point of contact, is far from high tech. In fact, it's the oldest form of communication on earth: the human voice. Accordingly, how can we reconcile a state-of-the-art data gathering system with a "low-tech" data delivery vehicle which is complex, random and multi-permutational? King TeleServices, (another D.F. King entity), is a full service contact center services provider that supports inbound/outbound voice, email, chat, text and social media monitoring programs with state of the art technology. With a combined total of over 1,200 seats in four centers the 600 seat flagship center is also located at the Brooklyn Army Terminal. Clients include among other entities engaged in financial services, banking, healthcare, government, media, telecommunications and mail order and online commerce sector. King TeleServices has experience supporting stakeholder communication, customer service, technical support, telesales and survey programs for its clients. TelAthena users may choose instead to connect to one of TelAthena’s many servers and telephony switch via the Cloud, and pay only for usage. Several options are available: data collection and storage; data collection and storage with telephony; telephony only. D. F. King & Co.